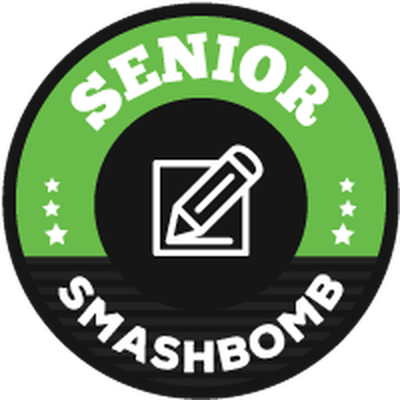 Smashbomb is a site where you can literally review the world–that is, you review movies, books, tv shows, games, table-top games, apps, music, podcasts, and tech. It’s a wonderful way to find out more about your next read, watch, etc., all in once place. With a wonderful social system, it’s a good way to make friends and reward others for their excellent reviews using the kudo system. And, of course, you can build a follower base, which is awesome. You can sign up for Smashwords by clicking this sentence. Also, you should totally check out the book reviews category, as we’re all bookwyrms here and of course, that’s the best category. One of the things I love about Smashbomb is the fact that if something hasn’t been added, you can easily add it yourself. It is perhaps one of the most stressful feelings ever (including with Litsy), when a book you’ve read isn’t listed. On Litsy, you can now manually add books, but it’s presently disabled. Goodreads, you have to rely on the librarians. Smashbomb? You can do it yourself. And their system will tell you if it’s a duplicate and you just couldn’t find it through the search (which could use a little work, but I’m sure that’s already being done, ’cause those guys are on top of things). Another wonderful thing about Smashbomb is its ease of use. All you have to do is go to the title of whatever product you want to review, scroll down, and enter your thoughts. It’s a simple system that works–especially since I tend to copy/paste all my reviews. Now, they do use a 10 star system, so I just double whatever the value I selected is, since I use a five star review system. And can we talk about kudos? Because there’s an odd sense of satisfaction whenever someone gives me kudos–the equivalent of likes, except they’re limited and they get you knew badges! It’s probably one of my favorite parts of the site, in all honesty. Also, there are groups–or in this case, orbs. I run one for horror, so after registering you should totally search for Horror Addicts! Smashbomb is a wonderful site to work with. There’s lots of reviews to check out, cool people to meet, and more. It’s one of those sites I actually visit most days, and that says something. I love seeing what other people like and dislike.